The Cold Sore Clinic is the latest website in the Aliveplus family of health related websites. We noticed that there were no high quality cold sore websites where sufferers could find easy to understand advice, browse through a full range of treatment options, purchase their chosen products and have them shipped to their door worldwide. Whilst we had been selling cold sore treatments for some time through Aliveplus Pharmacy, we felt people needed a stand-alone, one stop shop for cold sore treatments - The Cold Sore Clinic is that place! If you're sick of cold sores holding you back, we hope that by visiting the Cold Sore Clinic you can find everything you need to get your freedom back. Whether you need advice, your usual treatments, or something a little different - you should find it here. If you can't then let us know and we'll try our best to source it for you. 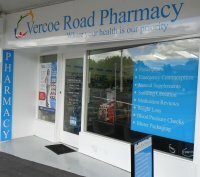 J & J Pharmacy Limited trading as Vercoe Rd Pharmacy: located in Hamilton, NZ, we have had many years experience selling health products to customers throughout the world. We aim to offer a comprehensive range of pharmacy, beauty and general health products from leading manufacturers at competitive prices via our online store. 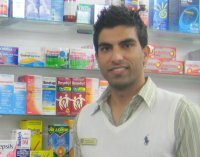 Here at the pharmacy we value our customers and we appreciate your feedback. To send us any feedback please use our Contact us form.